Previously operated by: Comerford Theaters Inc., Paramount Pictures Inc.
A perfect example of an Art Deco style theatre, it opened as the New Comerford Theatre on August 18, 1938, with a seating capacity of 2,047. Built as the flagship theatre for the Michael Comerford chain. By 1943, it was operated by Paramount Pictures Inc, through their subsidiary Frank Walker. 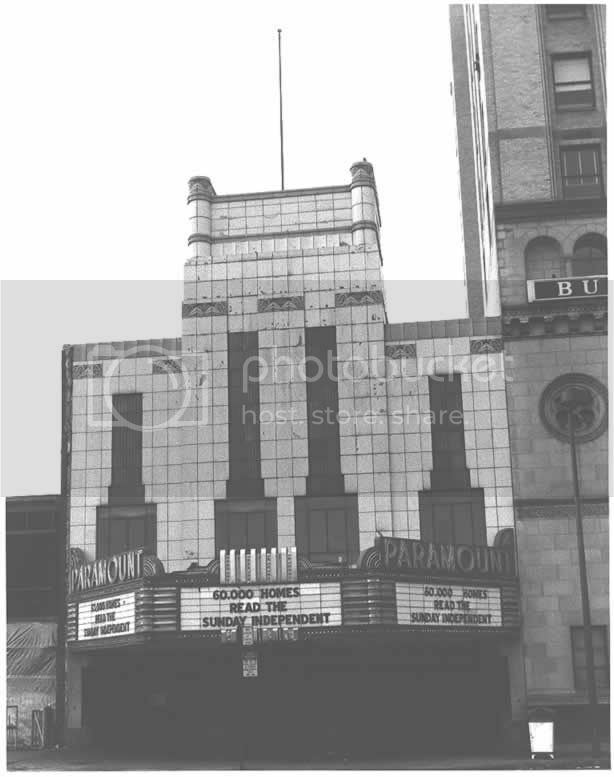 Later renamed the Paramount Theatre after the 1949 anti-trust suits, it continued showing movies until 1977. Suffered a major flood with 14 feet of water in 1972. Susequent renovations stripped out the ornate lobby and many fixtures were sold. It closed in the early-1980’s and was facing demolition, when in 1986 S.T.O,P. was able to get the building listed on the National Register of Historic Places. The building was subsequently restored and reopened as the Kirby Center for the Performing Arts. The architect was Charles Ryan.Became Paramount theatre in 1949.Closed in 1977.Later restored and reopened in 1986.Originally opened as Comerford on 18 August 1938. Here is a photo of the F.M. Kirby Center which I took in 2002. 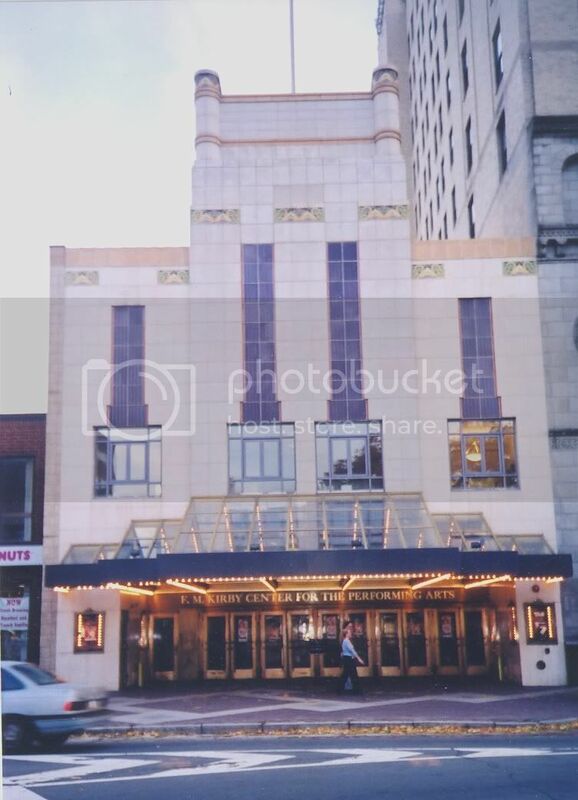 Here is a photo of the Paramount theater from early 1970’s before it became the F.M. Kirby center and had the marquee replaced. According to the THSA annual of the Deco theatres John Eberson there is a drawing in the Wilkes-Barre Historical Society Archives for a Paramount Theatre dated 1 May 1931.Eberson designed this building for Comerford.It is quite possible that this theatre is an altered version of his original design. Thanks for the photos of the Kirby to those who posted them! I stumbled onto this site and started looking at local PA theatres (Pittsburgh), just for a lark. Then i saw this place and remembered that this was where i first met my boyfriend on that wonderful night in October 2004. Thanks for the memory! September 4th, 1949 reopening as Paramount also uploaded in the photo section. Saw a show here last night – Celtic Thunder – and the house is big and lovely, subdued and tasteful in the Art Deco style. Well worth a visit if you’re in the area.